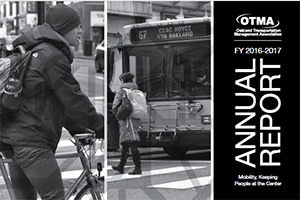 OTMA is dedicated to creating a safer, more mobile Oakland. Whether traveling by car, bus, bike or foot, we constantly strive to improve the mobility, access and safety of Pittsburgh commuters. If you have a question regarding commuting alternatives, construction project status in the Oakland area, etc., please feel free to ask us using the form below.